As Shi Feng appeared, the atmosphere inside the conference all became extraordinarily heavy. The benefits that this Zero Wing team enjoyed were far more generous than what Overwhelming Smile and Heaven's Burial offered. Not only had everyone received their own rooms, allowing them to store up the Double EXP buff easily, but they also had access to an extravagant number of Magic Crystals. Each of them received ten Magic Crystals each day. This was double what Heaven's Burial's main force received. Yet, in the end, Heaven's Burial had more members reach the fifth floor. If the public learned about the benefits that Zero Wing's main force enjoyed, they would ridicule the team as a bunch of trash. Knowing this, everyone had prepared themselves to receive Shi Feng's scolding. Shi Feng took his seat on the Guild Leader's throne. Without saying a word, he took out a cyan wine bottle and placed it on the table. Everyone shifted their gaze to the bottle curiously. The wine bottle's information displayed the name "Hundred Berry Wine." It was only a bottle of wine. "Guild Leader, you're not forcing them to get drunk as a punishment, are you?" Aqua Rose could not figure out what Shi Feng intended to do. At this moment, rather than admonishing everyone for their arrogance, which had led to their complacency, Shi Feng instead revealed a bottle of fine wine. Just what was he trying to do? "I am not that extravagant." Shi Feng shook his head and laughed. "I've prepared this bottle of Hundred Berry Wine as a reward." As for the matter regarding Zero Wing's performance falling behind Overwhelming Smile and Heaven's Burial, it had not surprised Shi Feng whatsoever. These two Guilds were not as simple as they appeared. Both Guilds had been recruiting talents from everywhere, not just White River City. In addition, both Guilds possessed powerful backgrounds with long histories. Now that these two Guilds had familiarized themselves with G.o.d's Domain, their advantage began to reveal itself. It would still be a while before a newly-established Guild like Zero Wing would catch up to these two. This was also why first-rate and second-rate Guilds looked down on upstart Guilds like Zero Wing. Every time a new game came out, many upstart Guilds would appear. They rose very quickly and fell very quickly. These newly-recognized Guilds were like the nouveau riche. How could they possibly compare to the wealthy aristocrats who had been tested over time? Only those capable of withstanding the test of time were able to set foot into this realm. "Reward?" Everyone curiously stared at the bottle of Hundred Berry Wine on the table. Every player here was a core member of Zero Wing. They would usually have plenty of excess money to spend, and normally, they would treat themselves at high-cla.s.s bars and restaurants. After all, the food and wine that these establishments served were far superior to those in the outside world. It had become a trend for many wealthy prince and princesses to dine at these establishments. However, despite frequently enjoying those delicacies, none of them had ever heard of a wine named the Hundred Berry Wine. Moreover, what could they do with only one bottle of wine? "This Hundred Berry Wine can a.s.sist you with improving your combat techniques. I doubt any of you will take my word for it, so I intend to allow each of you to test it. Everyone will receive one bottle. When you have reached your limit inside the Trial Tower, drink the whole bottle. At that time, you'll see what I mean," Shi Feng laughed. He then took out another 99 bottles from his bag. "After this, if any of you want the Hundred Berry Wine again, that will depend on your improvement speed and strength. Once every three days, I will reward at least one bottle to the top ten ranking members in the Trial Tower. The first place will receive three bottles, second and third will receive two bottles, and the rest will receive one. The top ten to improve the most during the three days will also be rewarded. At that time, how many bottles you receive will depend on your own ability. Although Shi Feng wished to supply everyone with a bottle of Hundred Berry Wine, enabling them to search for that feeling, the wine's production volume was simply too low. He could only offer it to very few of the Guild's elites. The rest of the team similarly doubted Shi Feng's claim. Improving combat techniques was not something that could be done overnight. The process involved a lot of learning and practice. The Divine Colosseum's Trial Tower also offered suggestions on how to improve one's combat techniques. Although the guidance was minimal, everyone considered it very helpful. "You'll find out once you test it." Shi Feng smiled, not bothering to explain. In order to promote their Guilds, Heaven's Burial and Overwhelming Smile publicized their battle videos through the screens in the Colosseum's main hall for free. Many players took the time to study these videos. "Ah, Zero Wing's members are here." "Are they trying to wrestle back their glory?" "Probably. However, the likelihood of them succeeding is slim. Some time ago, a few more experts from Heaven's Burial and Overwhelming Smile broke through the fourth floor. Currently, Heaven's Burial has 49 people who have reached the fifth floor. The Guild even has eight people who have reached the sixth floor. Their position as White River City's number one Guild is solid now. Meanwhile, Overwhelming Smile is closely following behind, with 45 people who have reached the fifth floor and six who have reached the sixth. Both Guilds are way above Zero Wing, who only has 39 people on the fifth floor and four on the sixth." Many players were not optimistic about Zero Wing's chances. Whether it was the members of the Guild's main force or the Dark G.o.ds Legion, both had already challenged the Trial Tower today. "I never thought that there would be a moment when Black Flame would panic. However, his actions only bring him more despair." 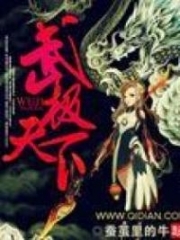 Seated in a room on the second floor, Feng Xuanyang quickly noticed Shi Feng enter the Divine Colosseum with the other members of Zero Wing's main force. With excitement filling his eyes, he said, "Go; notify War Wolf's team. It's time to show the public who the true ruler of White River City is." Originally, Feng Xuanyang had intended to keep Overwhelming Smile's strength hidden for a little while longer. However, after seeing Shi Feng personally show up at the Divine Colosseum, he could not suppress the hatred in his heart. Although he could not do anything to Shi Feng directly, it would soothe his heart if he could strike a mental blow to Shi Feng. As long as War Wolf's team took action, Overwhelming Smile would immediately have a large group of experts pa.s.s through the fourth floor. At that time, Zero Wing's efforts to make a comeback would be rendered futile. Its reputation would be in tatters. Meanwhile, the members of Zero Wing's main force, who had just entered the Trial Tower, felt a burden of expectation. Everyone clearly understood their own combat power. To put it simply, it was extremely difficult for them to break through the fourth floor. However, since Shi Feng had told them to give it a try, they could only grit their teeth and follow his commands. Very quickly, the members of Zero Wing's main force pa.s.sed through one floor after another. Upon reaching the fourth floor, everyone grew anxious. The Trial Tower's tests were set according to the player's strength. For every test, the system would generate a perfect doppelganger of the challenger. The doppelganger possessed the same combat power as the challenger. However, the doppelganger's actual combat power varied depending on one's progression in the Trial Tower. Each floor was also divided into three stages: early, middle, and late. Through the battles with their own doppelgangers, players could learn their own shortcomings. Meanwhile, players who were capable of defeating the doppelganger during the fourth floor's late stage would basically be able to display 50% of their actual combat power. These players were regarded as experts of G.o.d's Domain. However, based on the standard of the current players of G.o.d's Domain and the time they had to develop themselves, very few were capable of reaching the standard of an expert. "Hopefully I can pa.s.s through the late stage this time," Blackie prayed as watched his doppelganger before him. He then took out the Hundred Berry Wine from his bag and emptied the bottle's contents, swallowing every last drop. Suddenly, his mind felt clear. Moreover, his compatibility rate with his weapon and equipment began to rise rapidly. The items felt like an extension of his own body. "This is amazing!" The others were similarly shocked. After drinking a bottle of Hundred Berry Wine, their perception of the world had undergone a complete change. When everyone casually used a Skill, they immediately discovered their Skill Completion Rates had significantly improved. Even Shadow Sword and the others, who had been stuck at around an 80% Completion Rate, could now easily achieve an 85% Skill Completion Rate, their combat power soaring. After familiarizing themselves with this new sensation, everyone tackled their respective opponents. 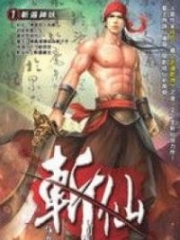 You're Read Reincarnation Of The Strongest Sword God Chapter 648 online at NovelOnlineFull.com. You can use the follow function to bookmark your favorite novel ( Only for registered users ). If you find any errors ( can't read,broken links, can't load photos, etc.. ), Please let us know so we can fix it as soon as possible. And when you start a conversation or debate about a certain topic with other people, please do not offend them just because you don't like their opinions. You're reading Reincarnation Of The Strongest Sword God. This manga has been translated by Updating. Author(s): Lucky Cat. Already has 1878 views. Current Time is 19-Apr-2019 01:08:05 AM.